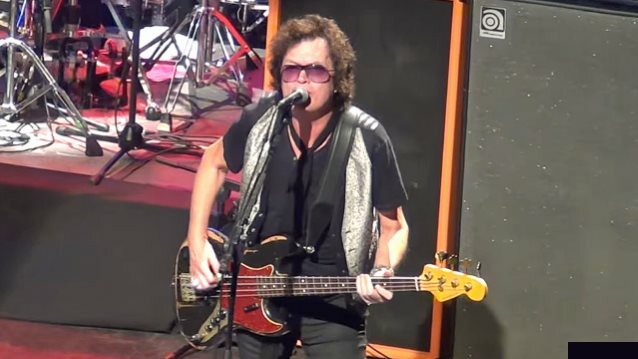 Former DEEP PURPLE bassist/vocalist Glenn Hughes has rescheduled his recently announced U.S. headline tour. The trek, which was originally set to begin on March 2 in San Jose, California, will now launch on August 9 in Annapolis, Maryland. The 64-year old icon underwent dual knee-replacement last month and delays in the recovery from those operations are the reason for the rescheduling of the tour. "I am sorry to say that some recent setbacks in my recovery from knee operations are the reason that I can't get out to see everyone as soon as I had hoped" states Hughes. "I want to make sure I give my fans the best live experience possible and promise it will be worth the wait. I can't wait to see everyone at the shows." The "Voice of Rock" will perform a selection of music from his extensive career, including songs from TRAPEZE, DEEP PURPLE, HUGHES/THRALL and BLACK COUNTRY COMMUNION as well as his solo material. Backing Hughes on this tour will be guitarist Søren Andersen and drummer Pontus Engborg. The tour will make stops in cities such as New York City; Detroit, Michigan; and Chicago, Illinois before wrapping up at the legendary Whisky A Go Go in West Hollywood, California on September 3. British blues songstress Joanne Shaw Taylor has been tapped to open the shows. 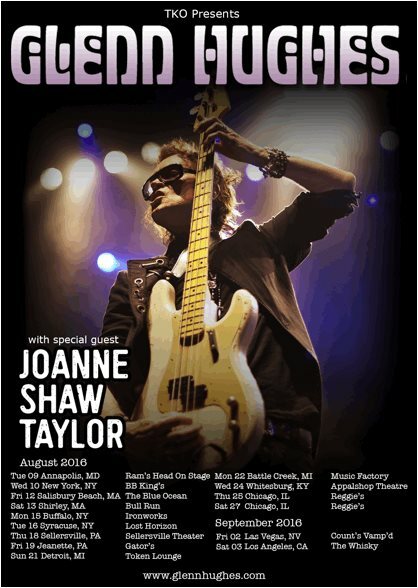 Tickets are currently available and links to the rescheduled dates can be found on GlennHughes.com. All tickets remain valid for the rescheduled dates and fans can reach out to their local promoters and venues with questions about the new dates. Hughes will be inducted into the Rock And Roll Hall Of Fame on April 8 as part of the Mark III lineup of DEEP PURPLE. He spent key years of his career as the beloved bassist and vocalist of the group, appearing on the classic albums "Burn", "Stormbringer" and "Come Taste the Band". Hughes and other members of DEEP PURPLE will be in attendance to receive the honor. This will mark the first time in 30 years that all the members have been in the same room together; some have never even met.